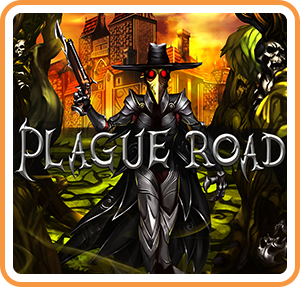 Set around a city being consumed from within by a disease, Plague Road tells a story of a lone doctor who once abandoned their home and now returns to learn the fate of those they left behind. Travel from the safe refuge of your farm through a series of regions progressively more affected by the infernal plague. On the road, rescue survivors and choose whether to use them as traveling companions or to improve the Doctor's farm and gain access to new abilities. How your farm progresses depends upon where you assign survivors to work. Some survivor types are more valuable in certain jobs, but may be more useful still if kept available for expeditions. Surviving the road will rely on your ability to fight horrors created by the plague, in combat encounters featuring grid-based positioning and turn-based strategy mechanics.